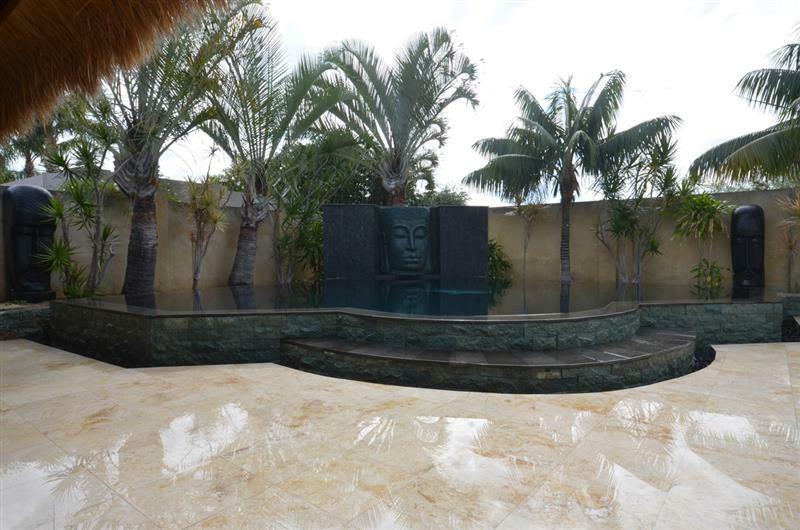 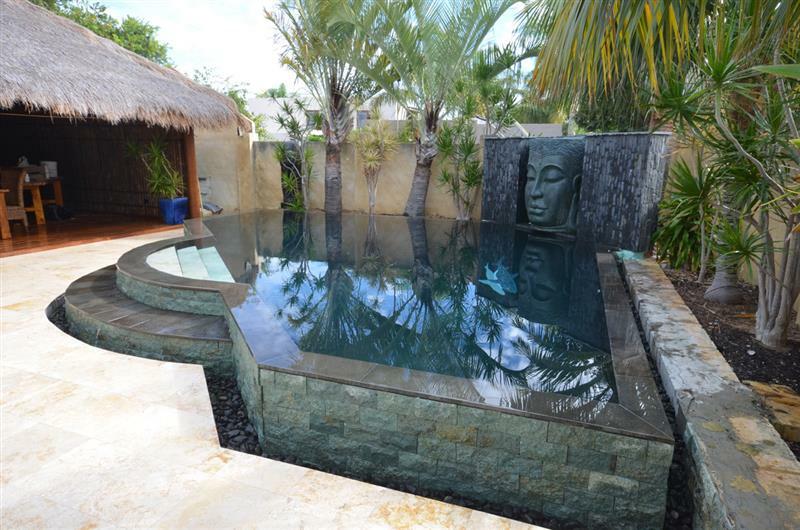 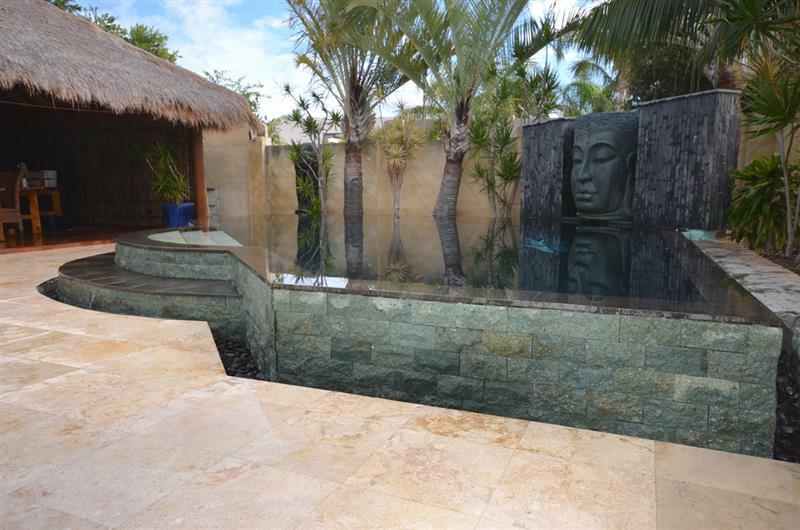 A Bali themed major pool renovation, the pool was reshaped and raised above ground with the whole pool overflowing to the surrounding trough. 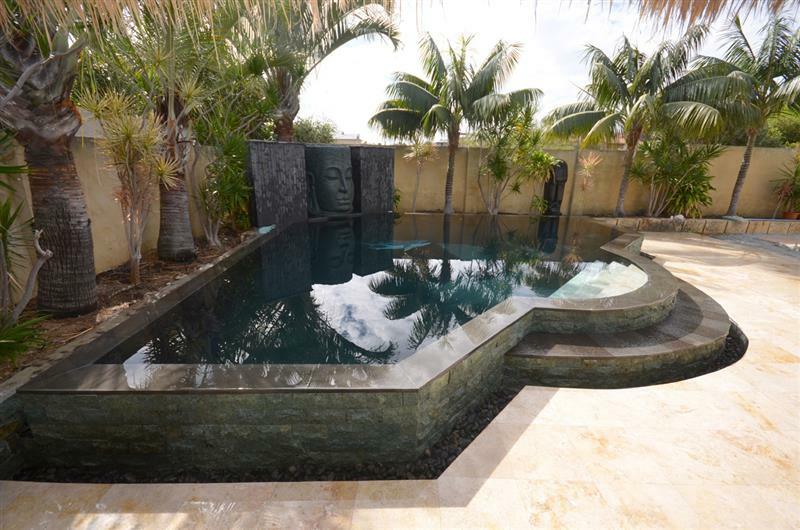 Curved steps lead up to the pool step entrance and a feature wall overlooks the pool. 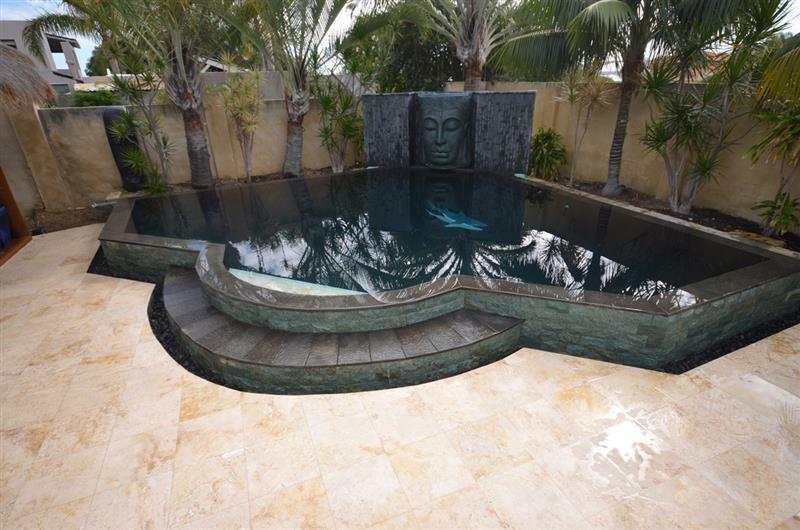 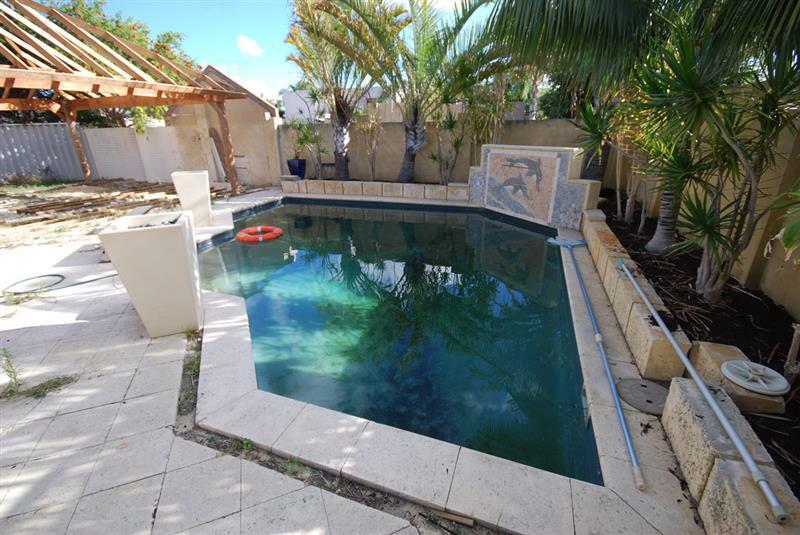 The client was very happy with the finished pool, not only acting as a swimming pool but also as a feature back yard statement.